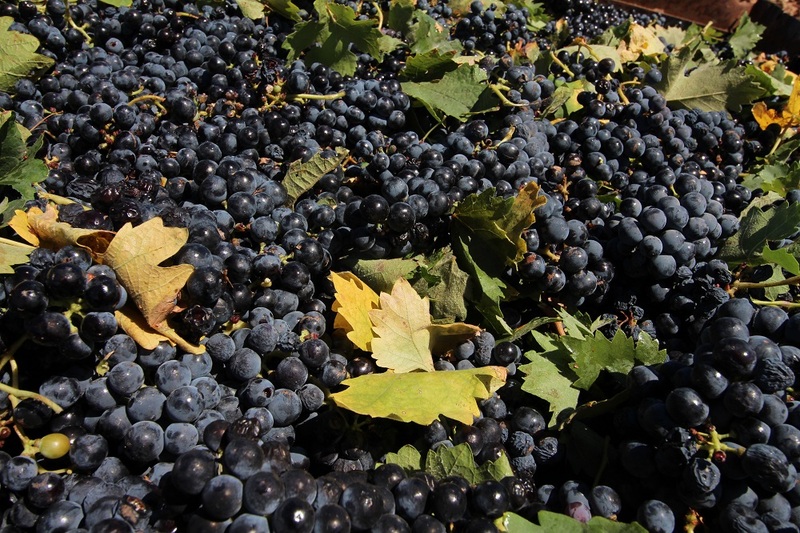 Forecasts of an early harvest were proved correct as picking got under way in La Mancha, when, at the beginning of August, some of the region’s wineries began crushing the first grape varieties. This became more widespread to become practically the norm across the entire La Mancha Designation of Origin, with some varieties being picked as many as 20 days ahead of schedule. A spurt in the fruit ripening process produced some unusual sights for the month of August. 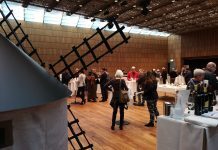 However, as winemakers and various technical experts from the wineries have confirmed, quality has not suffered as the grapes came in very healthy and both graduation and acidity levels are correct. The main causes of the early ripening include increased temperatures in late spring and early summer, coupled with the low rainfall experienced this year. 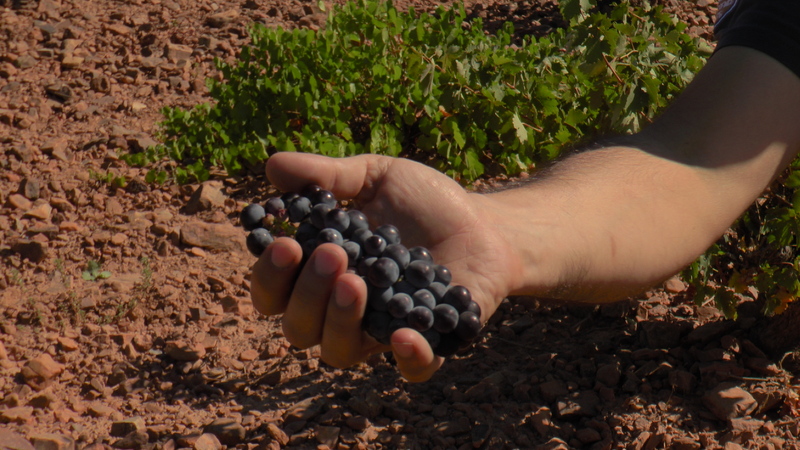 For example, grape grower Felipe Cañadilla explains that “in Villarrubia de los Ojos, the red dryland vineyards have kept up well and held their own, although they have been early”. “We’ve only been picking the dryland Tempranillo for a couple of days and at the moment, the quality is good, ripened to 13.5 degrees Baumé”, says Juan Nieto, from Bodegas El Progreso. Once again, Ciudad Real was the province where picking got under way the earliest. For example, in the Coop. Cristo de la Vega, in Socuéllamos, and in Tomelloso, where the machines from Vinícola de Tomelloso started work on 2 August with Chardonnay grapes. The winery’s Technical Director, Javier Nieto, highlights a considerably early start for Tempranillo, but thinks that “white wines will respond very well over time, as the grape pH is lower than in previous years”. Winery Almazara Virgen de las Viñas, also in Tomelloso, is busy harvesting Chardonnay, Sauvignon Blanc and some Merlot. There is a noticeable absence of disease in the grapes, which are “coming in very healthy”. “We want to guarantee the primary aromas in these first varieties and we’re also looking to save energy costs on temperature control for fermentation; that’s why we’re picking them at night”, says Ángel Álvarez. An awareness of grape quality has become a clear reality across all the La Mancha wineries now immersed in the harvest. For example, in Bodegas Yuntero, in Manzanares, where the facilities collect Chardonnay and Moscatel, both very aromatic varieties. As Technical Director Jorge Martínez points out, their temperature is very important, which is why “we set strict times for the grapes to come in, between 8 am and 2 pm. If a trailer arrives outside that time, the grapes on board are disqualified straightaway”. In Manzanares too, in Vinícola de Castilla, as field technical expert Roberto Laguna says, they’re wasting no time in picking White Moscatel with “very good parameters, with 12.5 degrees Baumé and 6 degrees of acidity”. 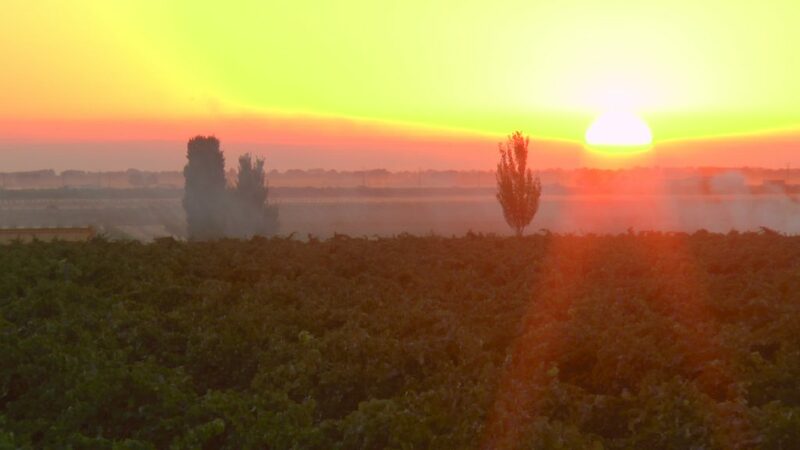 In Cuenca, the second province with the greatest number of hectares in the La Mancha Designation of Origin, ripening has been occurring at an uneven pace. 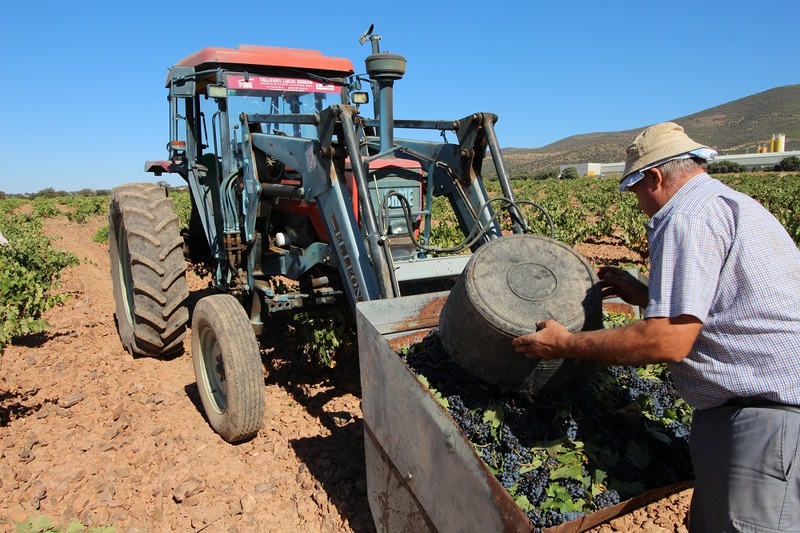 In places like San Clemente they’re putting the finishing touches to preparations for a harvest that will see “healthy, well-balanced grapes, although slightly below usual levels”, according to Luis Fernández from the Puente de Rus winery. However, in areas like El Provencio, winemaker from the Campos Reales winery, Soledad López, emphasises the “good quality of the fruit coming in for varieties like Chardonnay and Moscatel, despite the sudden temperature changes we saw this summer”. Her assessment coincides with that of Juan Fuente, Managing Director and technical expert at Vinos Zagarrón, in Mota del Cuervo: “we’re about ten days earlier than usual and we’ve already picked Chardonnay and Moscatel grapes. In a few days’ time we’ll be moving on to Verdejo, Tempranillo and Macabeo”. In the province of Toledo, “the grapes coming in are pretty good quality”, confirms Miguel Ángel Nieto, from the Félix Solís winery in Puebla de Almoradiel. He thinks they’ll “have to wait and see how August develops, but it’s going to be a very interesting vintage”. They’re one month ahead of schedule at Bodegas Bogarve 1915 in Madridejos, as José Antonio Naranjo tells us. “The summer was a dry one in this area and the plants are more exhausted than in previous years, but the quality will be good”. “Early but very healthy” has also been the trend for varieties like Moscatel and Chardonnay in Corral de Almaguer, with 14 degrees Baumé and 6 of acidity, as the technical head of Bodegas Altovela, Juan Antonio Calleja, tells us. In the province of Albacete the early harvest has been timely and localised for towns like Tarazona de La Mancha. The Technical Director of Bodegas Casa Antonete gave the go-ahead for picking to begin for Chardonnay on 3 August, with initial parameters showing great quality for the resulting wines, with 12.2 degrees Baumé and 7 degrees of total acidity. The early harvest has done nothing to harm fruit quality, as Managing Director of Vinícola de Villarrobledo, Juan García Melero, assures us: “it’s very early and neither we nor the growers expected so much ripening all at once”. 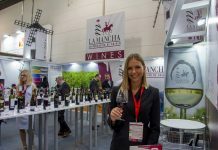 Although it’s too early to start making analyses and shortening percentages, La Mancha wineries coincide in saying that the harvest will be shorter in terms of quantity but with very good quality. Low rainfall has made the vines less productive but it has also led to favourable moisture conditions, preventing the appearance of fungal disease. The 2017 harvest will probably be lower than the average production for last year in the DO La Mancha region, with 8,219.65 kg/Ha for espalier and 5,667.96 kg/Ha for bush-trained vines. Plus, in general terms, we can say that DO La Mancha vines have been lucky enough to avoid being affected by the damaging May frosts that hit other areas on the Spanish mainland, although there were a few sharp hailstorms, mainly confined to early summer. It’s also important to point out that any movement of grapes between regions is only legal if they are for wines without Designation of Origin, as for a wine to be protected under this quality indication, the grapes must come solely from that particular Designation of Origin. In our case, in DO La Mancha, there’s fortunately more than enough supply to produce our excellent quality wines.